Matt was tired of working in various jobs including engineering, roofing, bar work and the military where he felt like it was more of duty to go to work, rather than a pleasure. He wanted to find a job that would motivate and inspire him to work for fulfilment. He was determined to do something that felt right for him. 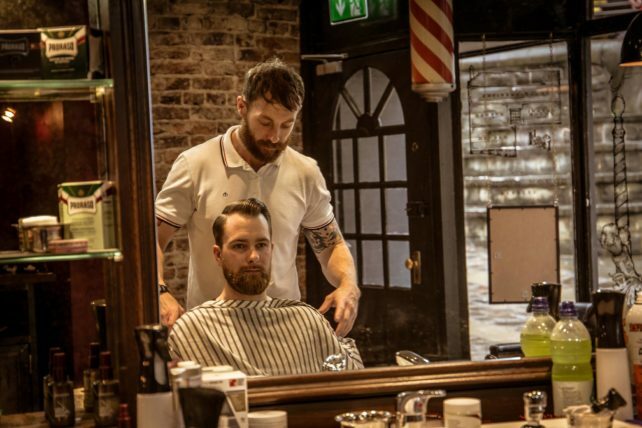 After he witnessed the results first hand from someone he knew who had attended London School of Barbering, he knew making a career transition into barbering was the right move to take. Matt has been a very busy barber, since he graduated from LSB nearly three years ago, after he completed our NVQ 2 Diploma beginner course. He is foolproof that you can have a successful barber career in this growing industry in a short space of time, with our education, hard work and the right attitude. From getting his work into magazines, setting up his own mobile barbering service, educating at Saks and East Durham College to currently mentoring apprentices at the House of Gentlemen Barbers and Refinery. Matt has sure dabbled into plenty of areas in barbering and there is no stopping this inspirational barber. Read more about his success story in his interview below…. LSB: What is your name and Instagram tag if you have one? LSB: What did you do before barbering? MR: I’ve been through a lot of different job roles, including working in engineering, roofing and I even worked as a barman, but I mainly served in the military before I got into barbering. 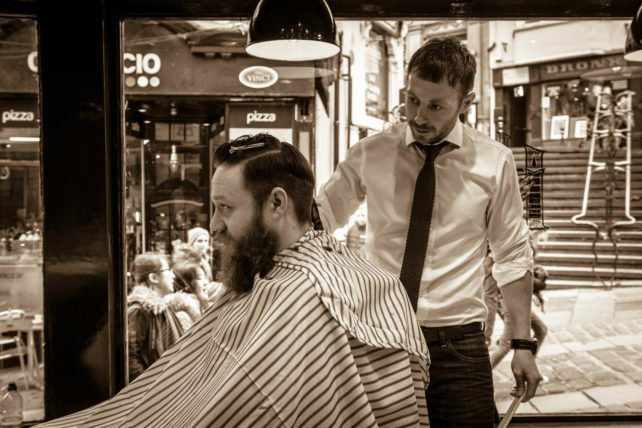 LSB: When did you realise barbering was the profession for you? MR: It felt natural the moment I stepped foot inside London School of Barbering. The second I had a pair of scissors in my hand, I realised barbering was for me. LSB: How did you feel about making the transition into barbering, and why did you choose LSB to learn the trade? MR: After years of doing something I felt were more of a duty, I had to do something that felt right for me. 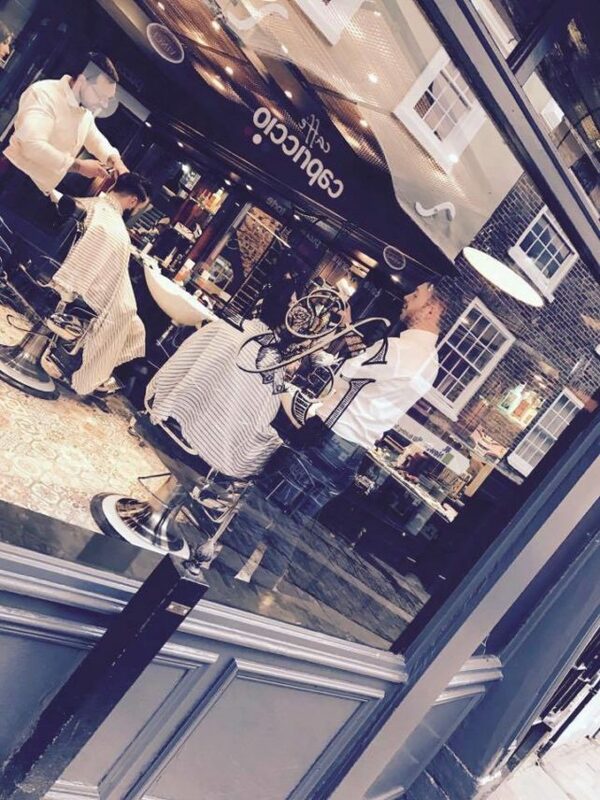 After witnessing the results first hand from someone I knew who had attended London School of Barbering, and then doing my own research into what was offered at London School of Barbering – it was a no brainer! LSB: What course did you take at London School of Barbering, and what were the highlights of for you? MR: I took the NVQ 2 Diploma course, which was a 9-week beginner course. The highlights for me had to be meeting the staff – Michael, Panos, Stel and Jordan were first class, not only their ability to cut hair, but the way they delivered the education. I met some really cool people on the course, some of which I am still in touch with and having Nomad the Barber in for graduation day was all part of the highlights for me on this course. LSB: Tell us about your journey since you have finished with LSB? MR: Since completing my course at LSB, I have gone on to spend time learning more with Sid Sottung and Schorem and of course returning to London School of Barbering to achieve getting my Masters NVQ 3 qualification. After I first qualified, I initially set up my own mobile barbering service, which proved to be popular. I was both delighted and humbled with the popularity of my mobile barbering service, as it was a whole new territory for me. I then secured a job at a city centre ship in Durham and rapidly built a solid client base of which I still hold now. From there, I was asked to join a team that was setting up a brand new barbershop in Durham, offering premium service in a fantastic environment. Along the way I have been educating at Saks and East Durham College, doing pop ups at a popular gentlemen’s outfitters, have had my work in magazines and now I’m mentoring apprentices at the House of Gentlemen Barbers and Refinery. MR: There have been a few proud moments, so it’s hard to just pick one. Honestly on a day-to-day basis, seeing how happy my clients are after a good haircut, shave and service is really fulfilling. But seeing students I have had the pleasure to teach to expand their knowledge is great. Meeting some of the industries finest and being asked to represent Reuzal is without a doubt all proud moments. LSB: If you could have anyone in your barber’s chair, who would it be and why? MR: I would have to say I would love to have my father in my barber chair if I could, as he passed away when I was young. So if I had the opportunity to sit him in my chair, it would be an honour. LSB: Have you had anyone in your barber’s chair already that has had an interesting story to tell you? MR: Yes I have heard many interesting stories. We get gents from all over the world, international cricketers, premier league footballers, millionaires, fellow ex-military, artists, film and T.V personalities, the spectrum is huge and each one has an interesting tale to tell – if you ask the right questions. LSB: Do you take inspiration from anything when cutting hair, such as music, fashion, film or art? MR: Absolutely, I really like the classic cuts, but I certainly don’t limit myself to those particular styles. Anything from mod culture, the 80’s, 90’s music, terrace fashion and the more up to date styles seen in the magazines such as Modern Barber. LSB: What would you say to anyone considering a career in barbering and studying at LSB? MR: Just do it, you will not look back. I have recommended a few people to attend London School of Barbering and each one has thanked me for it. Some of them are going on to work at places such as Hard Grind. LSB: Anything further to add? MR: I love what I do, if you want to be a barber – then do it. However, you must be prepared to work at it and work at it every day. The learning doesn’t stop after your course, it has only just begun. I am constantly hungry for more knowledge and craftsmanship. Even now, some days are really hard and I am challenged in my ability. However through my hard work and preparation, I keep on making clients happy, and keep making money, and that’s the way I like it. If you’re simply doing barbering because it’s popular, I would reconsider. This is an art and science with the ability to touch people’s hearts. If your hearts not in, it simply won’t work. But most of all, have fun and enjoy what you do – life’s too short.